IPL 2019: With backs to the wall, RCB faces their biggest test against KXIP on Saturday. IPL 2019: Virat Kohli is not having the best of times as a captain! Kohli-led RCB has already lost six IPL games and are on the brink of being eliminated. 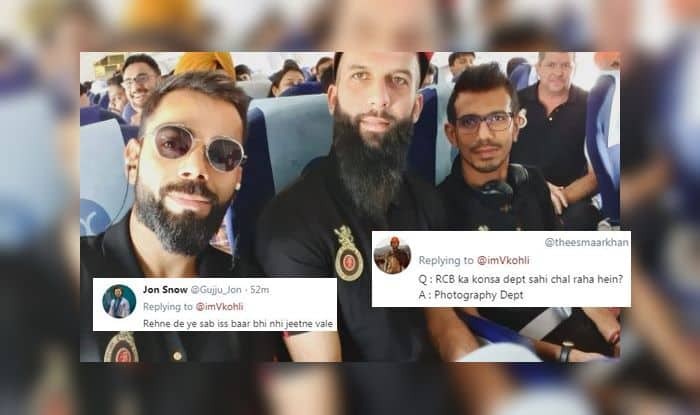 The RCB skipper took to Twitter to post a picture of him along with RCB mates Moeen Ali, Yuzvendra Chahal in landing in Mohali for their next game against KXIP. It would be a game Kohli and Co would like to win and get their campaign underway. Kohli faced heat on Twitter over his post where fans seemed to have lost all hope from RCB. Bhai, cricket pe focus Kar. #RCB ko jithaa..
RCB will lock horns with KXIP on Saturday at Mohali eyeing their first win.